“Fallen Land” puts players in charge of the country’s future IOWA CITY, Iowa – What would happen after a nuclear and biological apocalypse? With a new game available later this month, that answer is all up to those playing. 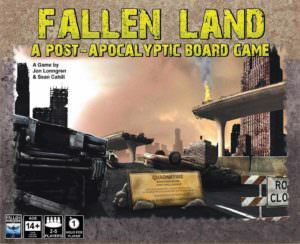 In Fallen Land: A Post-Apocalyptic Board Game, you are the leader of a unique faction of survivors competing for primacy in the ruinous aftermath of post-apocalyptic America. You must direct your party of characters to explore a rugged terrain, establish your territory, and solidify your agenda. You must also manage and enhance your town, protect your citizens and secure resources. Players will have to make and break treaties to endure, amidst a myriad of bribery, betrayal and hubris by the other players. And that is just where the adventure begins. 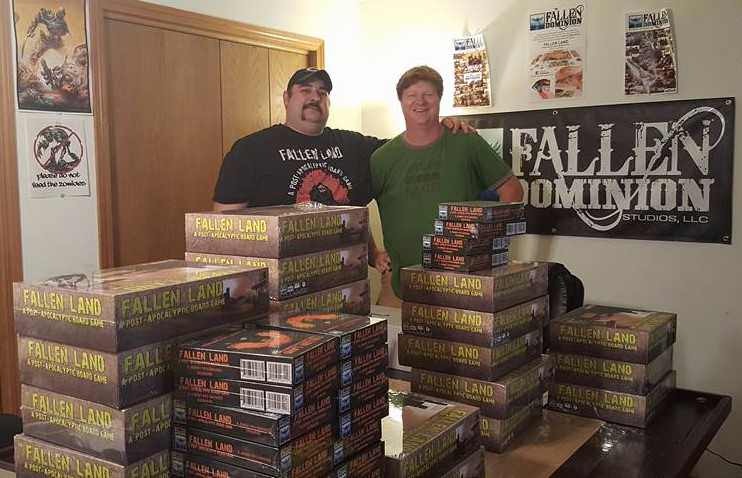 Fallen Land: A Post-Apocalyptic Board Game is a massive thematic game for 2-5 players. It combines the elements of a strategy board game with card building and light role-playing. 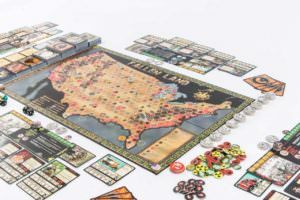 Driven by macabre stories of a world gone mad, Fallen Land features adventure, politics, economics, and diplomacy to deliver unlimited “sandbox-style” game play. Fallen Land is a different game each time it is played, based on the cards, stories, strategies, and threats. What is the game about? 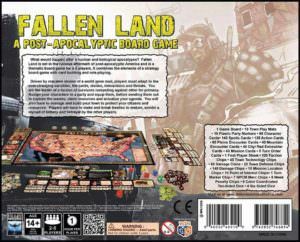 Fallen Land: A Post-Apocalyptic Board Game is massive thematic game for 2-5 players. 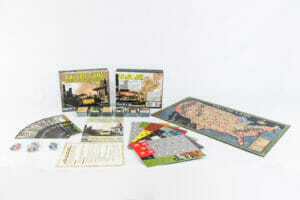 It combines the elements of a strategy board game, with card building and light role-playing. Driven by macabre stories of a world gone mad, it features adventure, politics, economics and diplomacy to deliver unlimited sandbox style game play. Each time it is played, the variables change, so the experience is always unique: the cards, the stories, strategies and threats. Although the game has a strong pulp influence, its roots stem from Cold War studies. We have expanded upon this to arrive at our game’s premise: What would happen after a nuclear and biological apocalypse? Our answer is Fallen Land: A Post-Apocalyptic Board Game. As a player, you are the leader of a unique faction of survivors competing for primacy in the ruinous aftermath of post-apocalyptic America. You must direct your party of characters to explore the rugged landscape, establish your territory and solidify your agenda. You must also manage and enhance your town, protect your citizens and secure resources. Players will have to make and break treaties to endure, amidst a myriad of bribery, betrayal and hubris by the other players. But that is just where the adventure begins! A Journey Into Darkness is the first expansion for Fallen Land. 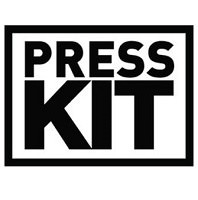 It includes rules for two solo variants of the game, the rules for adding a sixth player to create an “Epic Game,” and an optional and advanced rules section for the 2-6 player games. It also increases the cards of the core set by twenty percent! Both products are getting rave reviews and a great reception from the board gaming community. Both rule books are available in PDF format for viewing and download, at www.fallendominionstudios.com. Where Is The Game Available? 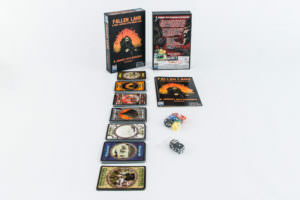 Our two products Fallen Land: A Post-Apocalyptic Board Game and its first expansion, A Journey Into Darkness are both available at the Fallen Dominion Studios website, https://www.fallendominionstudios.com and Amazon.com (with Prime shipping) https://www.amazon.com/s/ref=nb_sb_noss_2?url=search-alias%3Daps&field-keywords=Fallen+Land+Board+Game. In addition, friendly local game stores (FLGS), for example, The Hobby Corner in Iowa City and Cedar Rapids will be carrying the products. We are in the process of solidifying nationwide and overseas sales and distribution. Jon E. Lonngren grew up in University Heights, in Iowa City. His many roles at Fallen Dominion Studios include Chief Executive Officer, game creator, pulp writer, technical writer and publisher. Jon currently holds three degrees and is poised to embark on a journey to acquire a fourth, in early 2018. In addition to his 40 plus hour work weeks at studio, Jon also works at the University of Iowa Hospitals and Clinics, in the SNICU. As an alumni of the University of Iowa, he graduated in Political Science and International Relations. His primary focus was Cold War Studies and the former Soviet Republics. Jon has also attended several other universities, including George Mason University in Fairfax Virginia and The Kazakh Institute of Management, Economics and Strategic Research. Jon and his wife Wendy reside in Iowa City, with their sons Chase and Donovan, and their two incorrigible dachshunds, Albert and Beverly. 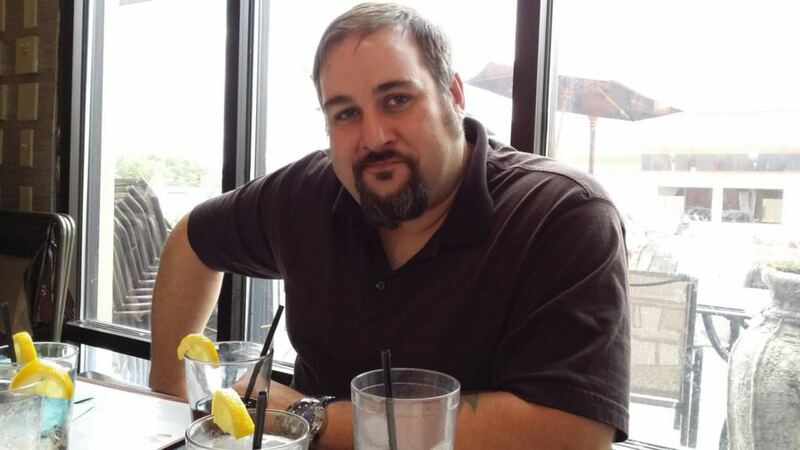 In his spare time, Jon enjoys playing tabletop games and cooking gourmet food for his family and friends. Sean P. Cahill is also a native of Iowa who grew up in Iowa City. He is a United States Army veteran. His many roles at Fallen Dominion Studios include Chief Operations Officer, game creator, graphics designer, tech wizard and publisher. In addition to his 40 plus hours a week at the studio, Sean has worked for the Iowa City Community School District and Durham School Services for more than twenty years. Sean, his wife Tara and their three children Nicholas, Amber and Calista, along with their “zootastic” array of pets reside in Iowa City. In his spare time, Sean is an avid golfer and enjoys playing every type of tabletop and computer game he can get his hands on. 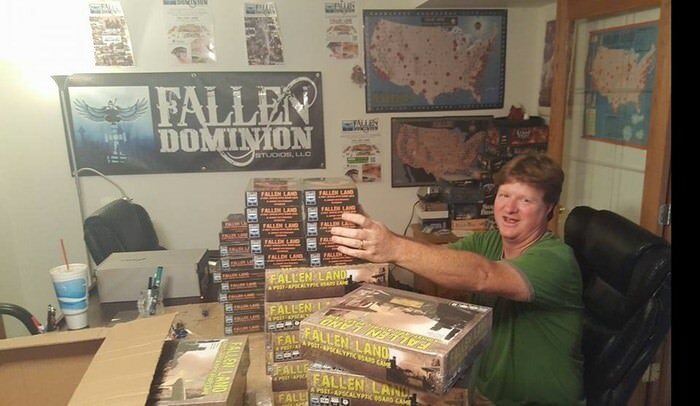 The rest of the crew at Fallen Dominion Studios are also native Iowans and include: Editor in Chief and Chief Information Officer Bill Pitcher, Art Director Warren Ripley, Lead Playtester Patrick Phillips, and Mechanics analyst Justin “Bonz” Jones. Major art contributors include Carter Allen and Joe Lower, who helped bring the world to life, in addition many others like Sean Eike and Scott Warren. In addition, many other native Iowans helped out Fallen Dominion Studios in varying capacities, such as Alison Werner-Smith, of Hayek, Brown, Smith and Bergus, PLC and Paul Waterman, of Cronk and Waterman, PLC. Photography is done exclusively by Kent Anderson and Eyes In a Moment Photography, while Video are filmed by Justin Brown.